"A healthcare facility without WASH is not a healthcare facility." Healthcare facilities are centers of infections and upwards of 50% of them are operated by faith-based organizations in some countries. Nowhere could we have a greater impact on human health than here. Well into the 21st century, hospitals and healthcare facilities around the world look like something from the 1800s. During the middle Ages, life-expectancy was measured in the teens, not decades. Much of the world lived in filth with poor hygiene, practically no sanitation and unsafe water. Epidemics and diseases like bubonic plague, typhus, smallpox and tuberculosis (“consumption”) were the result, taking a massive toll on humanity. Little improvement was made until the mid- to late- nineteenth century when the Industrial Revolution, germ theory of disease, and a nurse named Florence Nightingale became the driving force for hospital reform. She convinced the world that improving hygiene and sanitation, as well as having trained professional nurses tend to the sick, were necessities. Village Health Partnership seeks to improve health systems in rural Ethiopia. 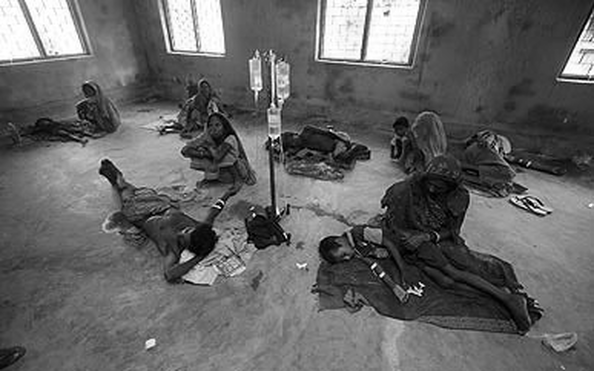 A recent visit to 16 rural healthcare facilities found, without exception, every hospital and clinic with periods of limited or no water and not one had the basic combination of clean water, access to hand-washing facilities with soap in exam rooms (including labor and delivery), and sanitation. Ethiopia is in no way alone. It's a problem common throughout the world. At this main referral facility mothers give birth, side-by-side, sometimes three at a time. With no working water tap, when very busy, the mothers clean up their blood and bodily fluids with their own clothes and rags to make way for the next women about to give birth. Mothers are afraid to deliver here but they are also afraid to die in labor at home. 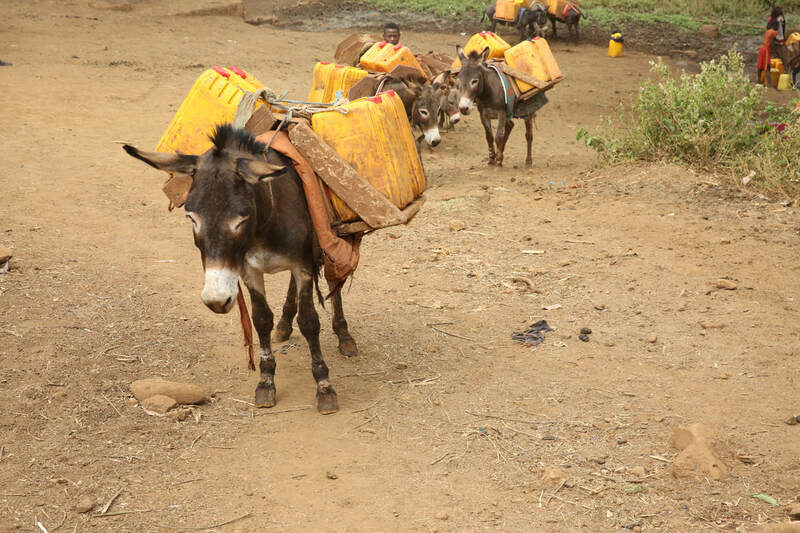 At one health center serving some 53,000 people, there is just one latrine, no shower and two donkeys make 20 trips a day to transport water from a nearby, dirty river. It’s clear the donkeys cannot meet the facility’s needs, but the staff does much with little. The place is clean and organized. 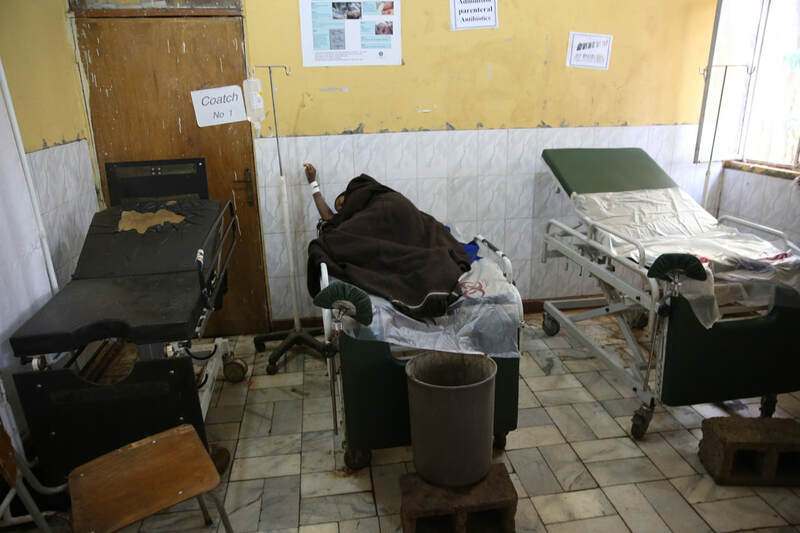 This labor and delivery ward has no working sink, a common problem in healthcare centers around the world. "A darling, petite young woman with a beautiful smile on the outside, Mecca’s reality is a daily onslaught of pain and shame due to a completely preventable injury of pregnancy, afflicting a million women and resulting in untold stillbirths. I was in Ethiopia with a project focused on the appalling absence of Water/Sanitation/Hygiene (WASH) in health-care facilities. It’s a global health scandal impacting hundreds of thousands of clinics and hospitals around the world. But I hadn’t anticipated Meeting Mecca..."
VHP founder, Dr. Migs Muldrow (far left) and Susan Barnett (far right), founder, Faiths for Safe Water, interview Mecca outside her home in rural Ethiopia. Read her story. If we don’t take global action to prevent infections, and keep relying on antibiotics to cure infections, we will return to the days before we had any antibiotics. 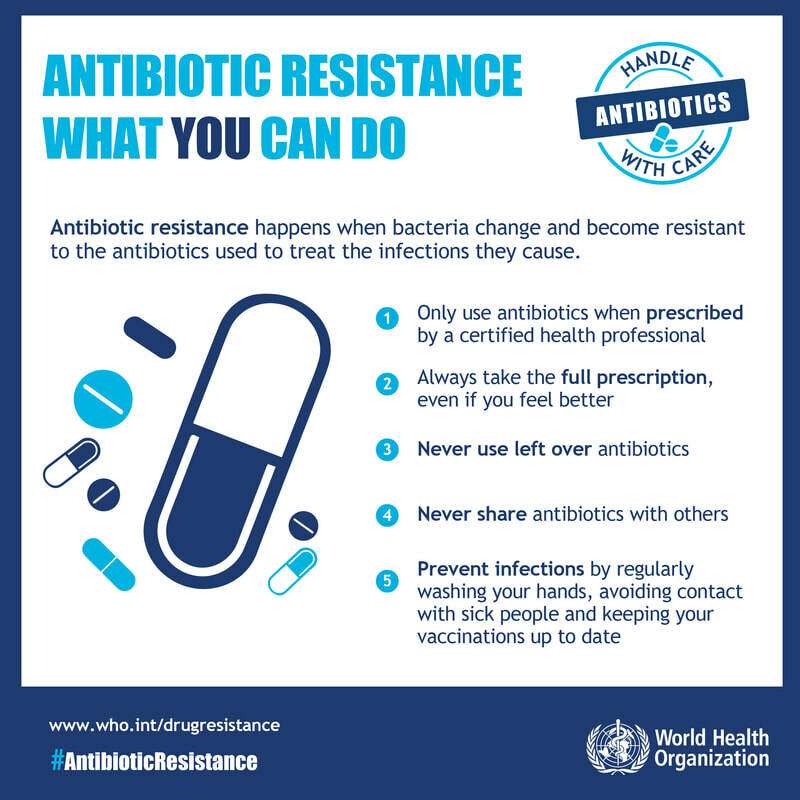 Already, many of the common antibiotics we’ve all come to rely on are no longer effective making drug resistance is a rapidly growing global threat. 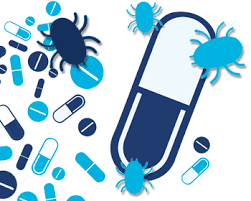 Drug-resistant diseases can cause longer and more complicated illnesses, more doctor visits, the need for stronger and more expensive drugs, and more deaths. The CDC recently uncovered new "nightmare bacteria" — resistant to almost every drug, and particularly deadly to the elderly and people with chronic illnesses. Up to half of these infections are fatal. Yet, 2000 to 2015 saw a 65% rise in worldwide consumption of the drugs; on average, especially among wealthier nations. "Unrestrained antibiotics use is the key reason drug-resistant infections now kill more than half a million people a year worldwide," according to a recent study co-authored by Eli Klein of the Center for Disease Dynamics, Economics and Policy in Washington. About 2 million Americans are sickened by antibiotic-resistant bacteria each year and 23,000 die, according to the CDC. But what about the antibiotics of tomorrow? you're probably asking. Pharmaceutical companies have continually withdrawn from developing new antibiotics. In 1990, there were at least 18 large pharmaceutical companies actively developing antibiotics. Today, there are four. Concern has led England’s chief medical officer to recently add antimicrobial resistance to the UK’s national risk register of civil emergencies. Five years ago, Dame Sally Davies warned of an “apocalyptic scenario” where people die of common infections and simple operations because antibiotics no longer work. Davies recently told The Guardian, “The importance of clean water, sanitation and vaccination must not be forgotten to avoid infections occurring in the first place.” More in The Guardian. Resistance can also spread between microorganisms. Using antimicrobials in any one sector (human health, aquaculture, agriculture or on crops) can result in unintended exposure in other sectors. 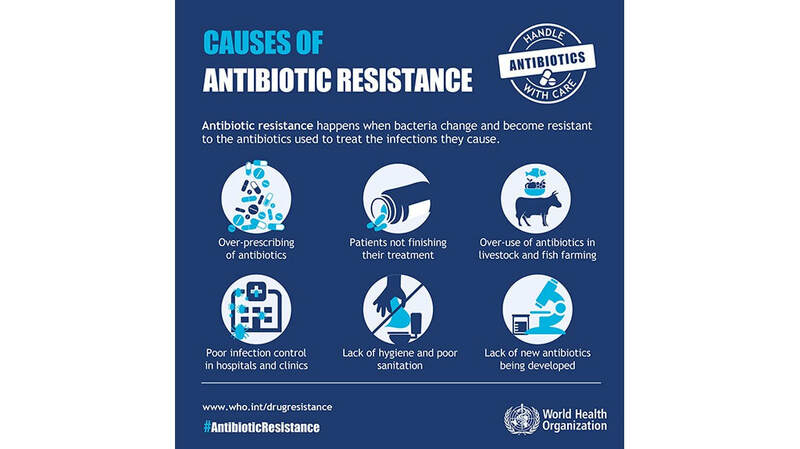 AMR can undermine not only human health, but also animal health, crop health and ecosystem health. FAITH COMMUNITY CALL-TO-ACTION: Because faith-based communities run up to 50% of healthcare facilities in some countries, no community is better positioned to lead. If we are truly committed to preventing illness and disease, and improving health outcomes, then we must direct greater focus to sustainable WASH in healthcare facilities. This problem is not one that we can solve on our own, all the more reason to show leadership. Our faith-based organizations can help to prioritize and coordinate the multi-sector cooperation needed for progress: water, health, development and finance partners from government and the private sector. We must work together. And because water pumps, pipes, and faucets do break, let's make sure there’s also a commitment to often-overlooked maintenance. IT'S AS CLEAR AS CLEAN WATER. Improved water supply reduces diarrhea morbidity by 21%. Improved sanitation reduces diarrhea morbidity by 37.5%. Simply handwashing with soap can reduce diarrheal episodes by about 45%. When children wash their hands, healthy global development indicators like height, weight, and social skills increase as do child well‐being and social productivity. Faiths for Safe Water's Faith-based Resources offer lots of ways for families, students and congregations to make our shared religious symbol a source of health and life for all.